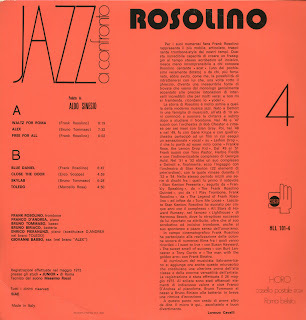 Another missing records is added to this discography dedicated to Aldo Sinesio's label, always thanks to Alessandro, who wanted to share a little piece of his passion with us. 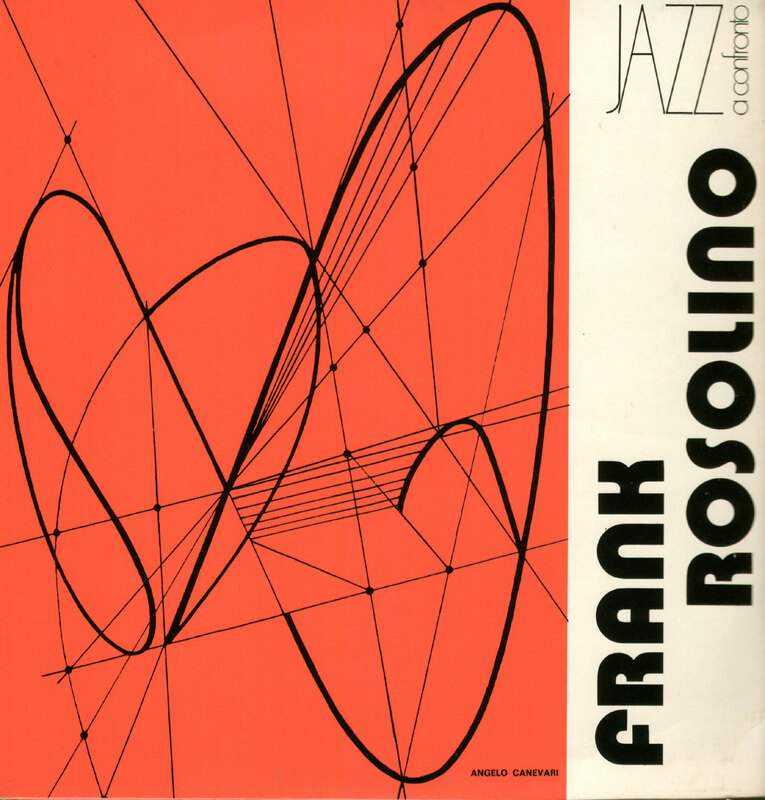 Frank Rosolino - August 20, 1926, Detroit, Michigan / November 26, 1978, Los Angeles, California - will be remembered and respected throughout the contemporary jazz world for his mastery of the trombone, his uncanny ability to fit and work successfully with a wide range of musical ideas, and perhaps last but not entirely forgotten, his wit and capacity for comic entertainment. There has seldom been a time when any single aspect of this amazingly complex individual was submerged for any great length of time. 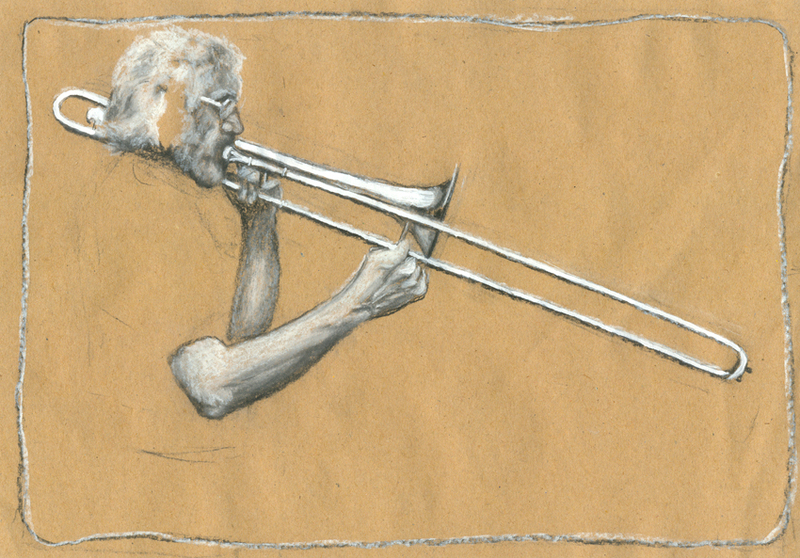 He was always the superb performer, upfront individually as a musician or commercially as an entertainer. A1) Waltz for Roma - 8'19"
A3) Free for All - 8'02"
B1) Blue Daniel - 6'47"
B2) Close the Door - 4'59"
Side B can not be downloaded. This really to bad for such a fine record. Pls can you do something about it. wil, the file is ok, I have just downloaded to test. You just have to try again and again, or make a donation, so I can pay a premium subscription on Megaupload and everything would be faster. Many thanks for this rarity, downloading with no problem on premium MU. Very, Very Nice Blog !! 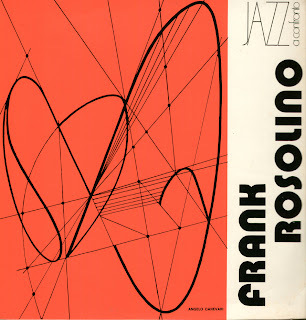 Salve, ho la ristampa in CD del disco di Frank Rosolino ("Conversations") registrato in Italia nel 1973 con Conte Candoli e Franco D'Andrea... 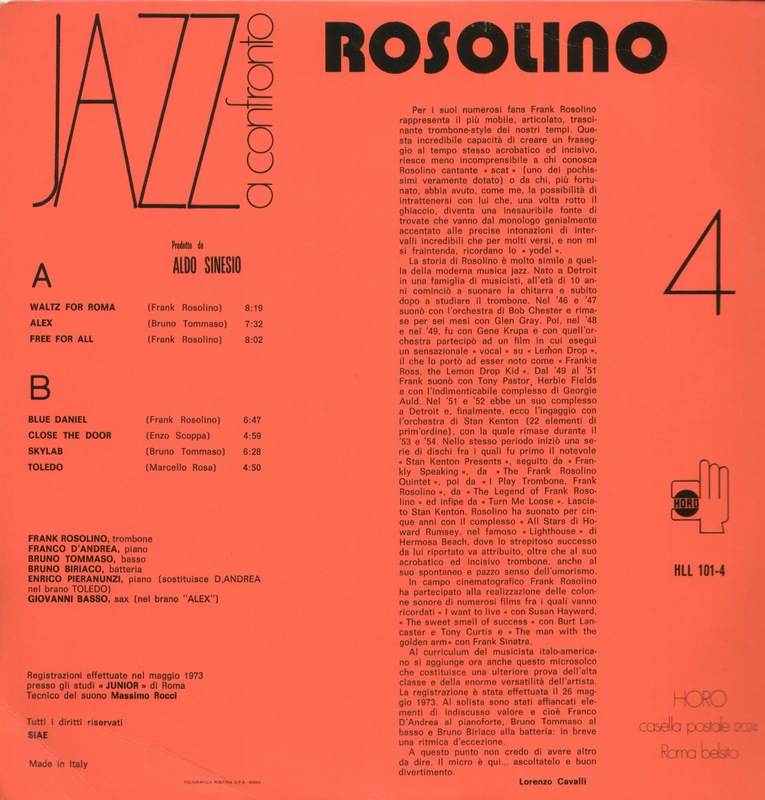 Non sapevo nulla di questo disco della Horo. Se non chiedo troppo, potrebbe postarlo di nuovo? Grazie in anticipo. Thanks! Just download side A,then wait a bit and get side B, EASY! !